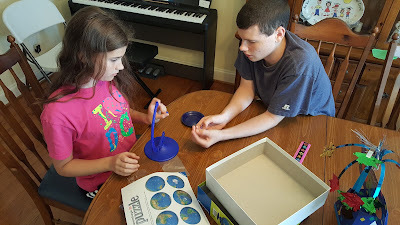 Today's review was the perfect summer activity for us. 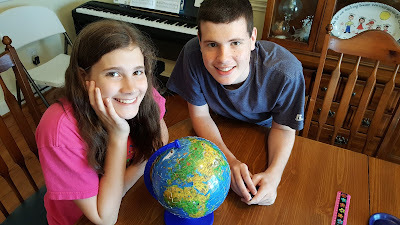 Timberdoodle sent us this 3D PuzzleBall Globe to review. However, your puzzleball globe doesn't start out that way, of course. It contains 180 puzzle pieces and a display stand. 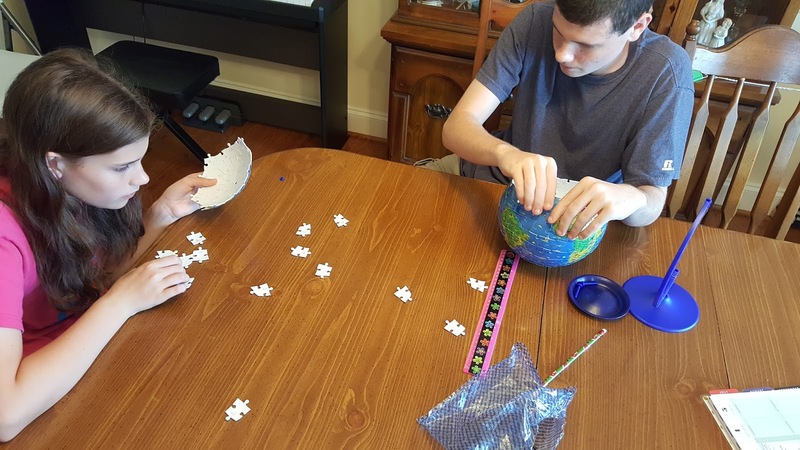 There is no glue required to assemble this puzzle - only willing hands are needed! 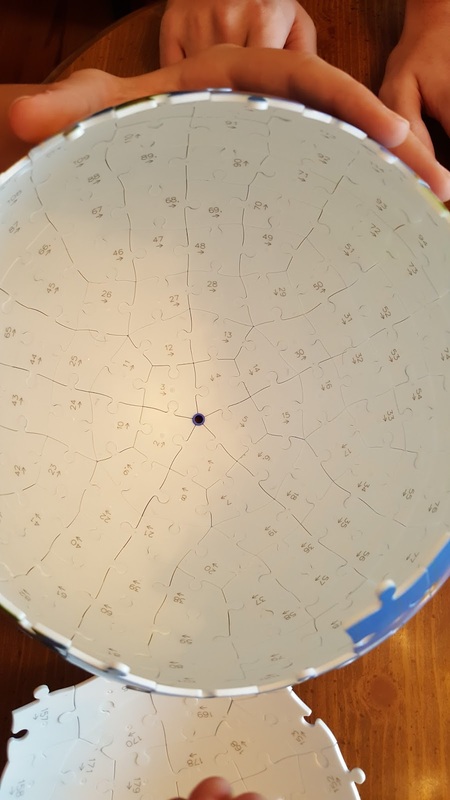 The puzzle pieces are made of a sturdy plastic. 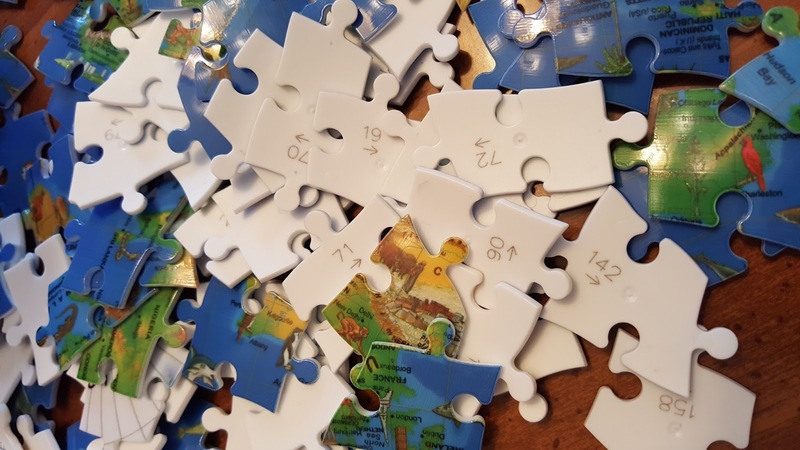 Each piece is numbered making this puzzle so simple to complete for younger children. We found that the pieces snap into place fairly easily. They have a curve to them which eventually helps to form the finished globe. The only tricky portion is when you reach the top but I would not really call that part difficult at all. It is recommended for ages 8 and up. We found this to be the perfect summertime project because it was simple and fun. Not only that though. 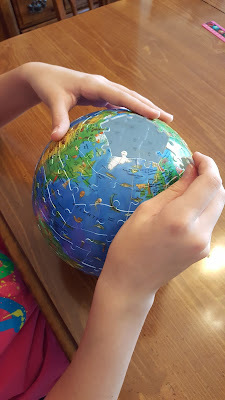 Now, we have an actual globe that we can use when we start back with our "official" school time! We will be studying lots of countries and cultures so this will be the perfect accessory for our studies. 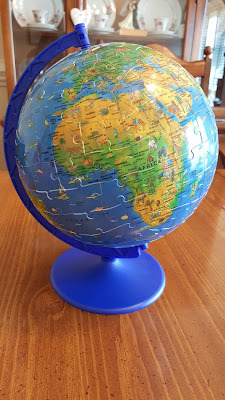 This was a totally unique product for us as we have never seen any type of 3D puzzle before. Stephen and Sarah had this project knocked out in no time. 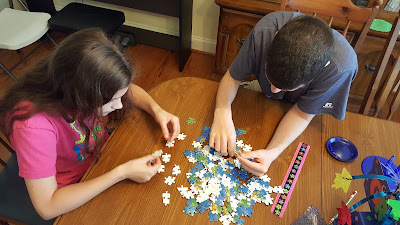 They are both well above the age level but found this to be a fun afternoon activity for them both. After they finished, we all were discussing how we should have recorded the process for you to show how simple and easy it was. Well, Sarah asked the next day if she could take the globe apart and redo it so that she could record it for you guys. Now, you know this is a fun project when your children ask to do it again! So, here is her time lapse showing just how simple and fast this project can be to complete. For older children, you could also try putting the globe together without using the numbers on the back. That will be a great review after we learn each country next year too! 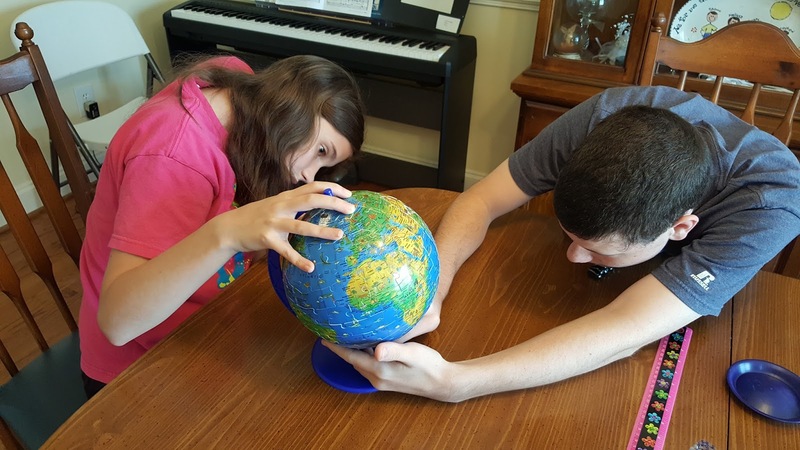 This puzzleball globe is currently selling for $24.99 at Timberdoodle and is also included in their 2016 3rd grade curriculum kit. Some puzzleball are so awesome that it has so many fun to play with it. If you read this review then you will literally know about it. helpful link to know about the quality of writing.